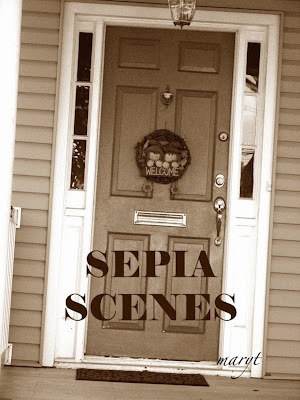 JOIN US AT SEPIA SCENES today! Come back to SEPIA SCENES and sign in to Mr. Linky and leave a comment. Check out SEPIA SCENES now to learn how apply a SEPIA tone to a photograph! arg too many photos not enough time...Will try and join next week...sowry! Ah … I do know how to create Sepia scenes … but, alas, methinks there’s no way I can do anything more than I’m currently doing at the time being, so … thanks for the invitation but I’ll pass for now. I do like YOUR Sepia scene however and if things ever slow down, perhaps I’ll give it a go then.